U.S. Supreme Court in Washington, D.C.
On Nov. 8, voters in Multnomah County will decide on a ballot measure that could make it possible to reel in runaway political campaign funding nationwide. While Measure 26-184 is written as a county charter amendment specific to Multnomah County races, it contains provisions capping independent expenditures, which is prohibited under the U.S. Supreme Court Citizens United decision of 2010. That ruling held that political spending is a form of free speech. It allowed for corporations and unions to begin spending unlimited sums of money on political campaign promotions and attack ads, and it contained loopholes making it difficult to know where dark money flowing into political action committees is coming from. These unlimited independent expenditures are dollars spent to sway voters one way or another, without any money going directly to a campaign and, therefore, avoiding limits on campaign contributions. Attorney Dan Meek, who assisted in drafting the measure, explained it was written with the intent of being challenged. 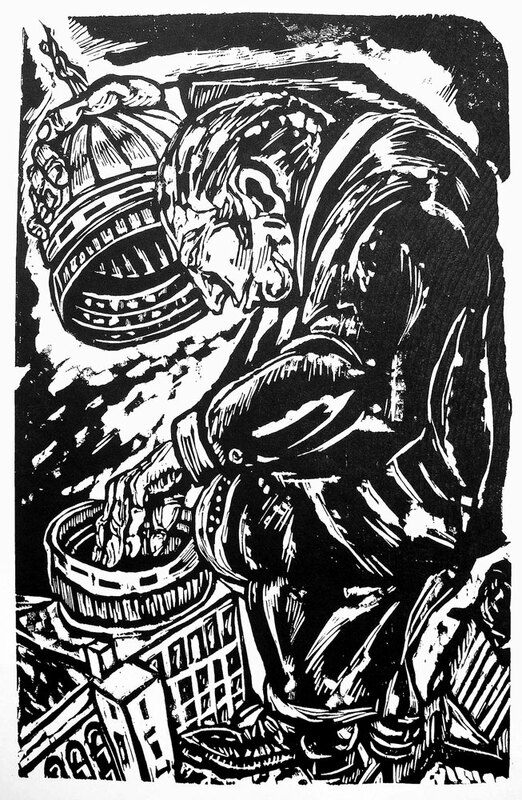 And he expects it will be challenged, both in federal court for the limits it places on independent expenditures – $5,000 from an individual and $10,000 from a political committee – and in state court for setting limits on direct campaign contributions in Multnomah County to no more than $500 from any individual or political committee. Direct campaign contribution limits are not allowed under Oregon’s Constitution, thanks to a 1997 Oregon Supreme Court decision, VanNatta v. Keisling, in which the court ruled these limits are a violation of free speech. Fred VanNatta, of the Center to Protect Free Speech, is expected to bring challenges to the county’s measure, should it pass, as he has consistently fought attempts at limiting campaign funding in the past. A phone message Street Roots left for VanNatta through a receptionist at his office was not returned by press time. Oregon is one of only six states with zero limits on how much an individual or a political committee can contribute to a campaign. He said it will take, at a minimum, two years for the challenge to come before U.S. Supreme Court justices, but when it does, they will have an opportunity to use it to overturn Citizens United. Meek said if this were to happen, laws limiting or banning independent expenditures that were already on the books would be resurrected – if they hadn’t already been repealed – and it would open the door for new laws limiting independent expenditures to be introduced and implemented across the nation. The U.S. Supreme Court’s 5-4 majority, which ruled in favor of Citizens United, ended with the death of Justice Antonin Scalia. Juan Carlos Ordóñez, a proponent of the measure, said going after Citizens United is not the only purpose of the ballot measure. Ordóñez said the measure would elevate the impact of small donors because if a political committee only accepts donations of $100 or less, then it would be considered a “small donor committee,” and it would not be limited in the size of contributions it could make to a candidate’s campaign. All other political committees would not be able to accept donations larger than $500. To date, no other city, county or state has introduced limits that would go against the Citizens United ruling. “Someone somewhere has to do it if we are going to undo Citizens United,” Ordóñez said. He helped get the measure on the ballot – but not in the usual way. He’s a member of the Multnomah County Charter Review Committee, which meets only every six years. This committee has the ability to put changes it would like to make to the county’s charter up for a public vote without having to go the typical route of raising funds and gathering signatures. “It was just an opportunity to get this on the ballot quickly,” Meek said. While both Democrats and Republicans typically vote against limits to campaign contributions, Meek said, the charter review committee had a way around that. The 15 members of the committee are selected by members of the Oregon Legislature who have constituents who reside within the county, and here’s the kicker – if two are appointed from the same Senate district, they must be from different political parties. 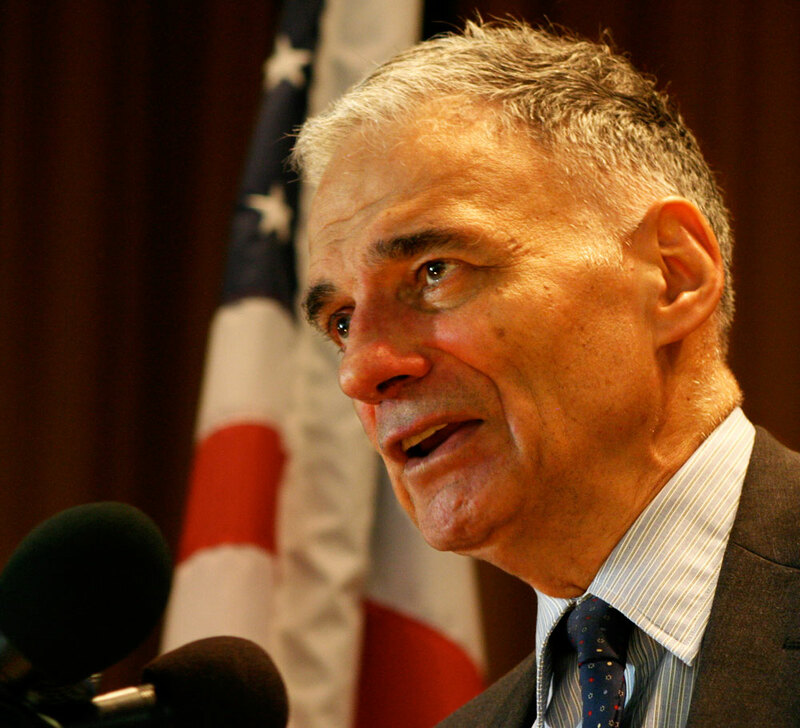 Consumer advocate Ralph Nader plans to promote the measure when he’s in Portland on Oct. 22 for a book tour stop. He will deliver a speech at a 7 p.m. fundraiser for the proposed charter amendment at First Unitarian Church of Portland. The county measure differs from the proposal Portland City Commissioner Amanda Fritz introduced in September, which would not set any limits on campaign contributions but rather would offer qualified candidates a limited amount of matching funds, paid for by city taxpayers, and limit the amount those who receive matching funds could raise. Where: First Unitarian Church of Portland, main sanctuary, 1211 SW Main St.